For the first time since inking a blockbuster deal with the planet’s most prestigious mixed martial arts organization, FOX will produce a documentary to help hype the UFC’s next primetime event. “UFC’s Road to the Octagon” makes its debut July 29th at 2PM ET. The one-hour special hits the airwaves six days before “UFC on FOX: Shogun vs. Vera” jumps off inside Staples Center in Los Angeles, California. 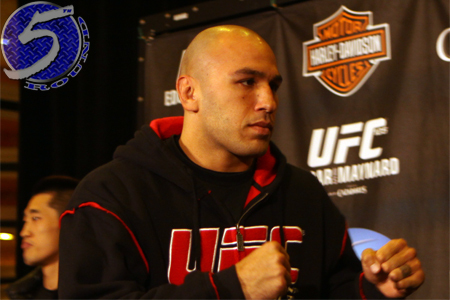 The show will feature the event’s biggest superstars, including light heavyweight headliners Brandon Vera (Pictured) and Mauricio “Shogun” Rua. FOX will broadcast the main card live beginning at 8PM PT/5PM PT.